These expressive, long playing music productions are available in durations ranging from 15 minutes up to an hour. You’ll find that they work wonders when the time comes to relax your listeners. All our royalty free meditation music has been composed with great care and a genuine sensitivity to those who work in the healing arts. We think they are a testament to the dedication and creativity of our wonderful composer, Christopher Lloyd Clarke. We hope you do too. This is the largest category of royalty free music we offer. You’ll find that it’s brimming with serene music of unsurpassed creative depth and production quality. 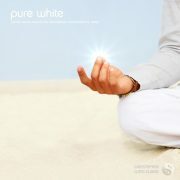 Our royalty free meditation music lends the perfect atmosphere to meditation and hypnosis recordings. In addition, it’s also perfect for live hypnotherapy treatments, holistic healing, meditation and stress management classes, day spas, and any kind of audio, video or software production that requires truly relaxing music. For more in-depth information and license prices for any album, simply click on the blue links to Enlightened Audio below. 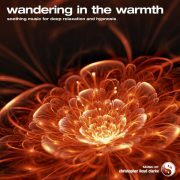 Wandering In The Warmth is a quieting arrangement of chord progressions that slowly blur from one to the next, gently massaging the mind and soothing one’s nerves.